Published in Rae’s “U.S. Astronomical Naval Expedition to the Southern Hemisphere During the Years 1849-52” Washington D.C., 1855. 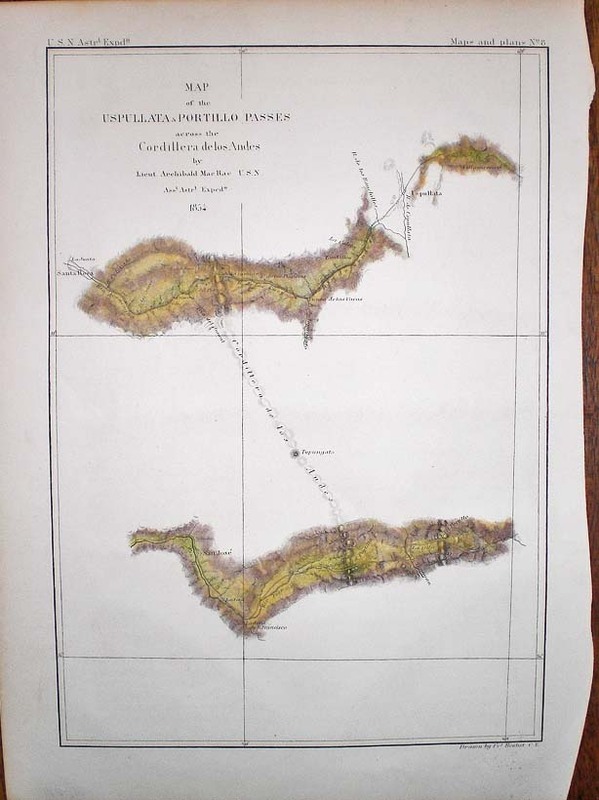 From an important first account of an expedition to Chile in 1849. The map shows the two different routes through the Andes. The Uspullata pass is north east of Santiago and is the more popular crossing (due to it’s sheltered position) and the Portillo passage is south west of Santiago, shorter but more dangerous than the former.